I got very very lucky yesterday and got to attend "Swan Lake" at Madinat Jumeirah. I apologise in advance for the lack of pictures, I am still very shy when it comes to taking photos during a show. How incredible is that?! A Ballet in Dubai! The only thing is we couldn't find any information on the Dancers. I think they were from the Sofia Ballet, but other than that no idea where they come from, so just in case, we drank a few glasses of Champagne before the show began. Between all of us, we had seen that Ballet in St Petersburg, in Moscou and in Vienna, there was definitively some competition for the Sofia Ballet. There was a bit of a confussion with the opening of the curtains: up, down, up, down, finally down and... oh it opens on the sides, that's why it didn't work properly! Eventually they got there and I stopped giggling. I have to admit it the Madinat Theatre is a small stage to perform Swan Lake, I was definitively missing a live Orchestra, and the performance was uneven but the female Soloists were really good. Sharp, precise and fragile at the same time. But as uneven as it was, Tchaikovsky's Music gets me every time, and that's good enough for me. 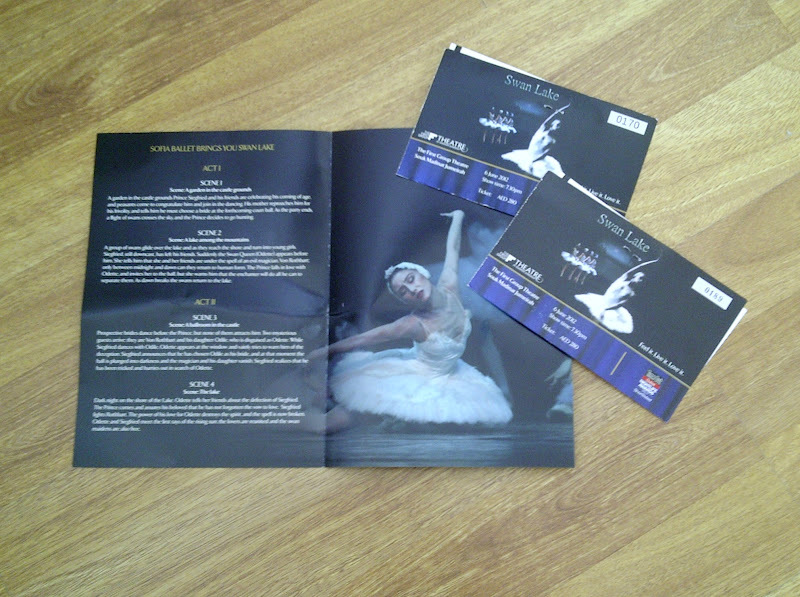 This Ballet was not the best ever but I am very thankful it existed anyway and very lucky to have been invited. The Champagne and good Company definitively helped... an other adventure in Dubai!